Inventory in the Ann Arbor school district continues to drop. At the end of September there were 654 homes for sale with 22.8% under contract. Here at the end of December, that number has dropped to 513 homes for sale, which is a 22% decrease in inventory, with 22.6% under contract, which has stayed consistent. This gives us a 6.2 month supply of housing for the Ann Arbor school district, which has decreased by 19% in the last quarter of the year. Now, the $400k – $600k price range is seeing a lower housing supply and is joining the more competitive under $400,000 market, with the months supply of housing ranging from 5.2 – 6.5 which is still considered a balanced market. The under $100k market is seeing a 3.8 months supply of housing, putting it into a sellers market for the first time in a while. Although decreasing in the over $600,000 market, the months supply of housing is consistently over 9 months. Over $1,000,000 we have 16.4 months supply of housing. In spite of the lower inventory under $400,000, houses still have to be in excellent condition and priced competitively in order to sell. Even with limited choices, buyers are not willing to make compromises. With so many home owners being upside down on their mortgage, I see the market inventory remaining tight for the foreseeable future. In a city like Ann Arbor, with restaurants to satisfy any palate, it is easy to fall into the pattern of frequenting a few favorites while ignoring the rest. 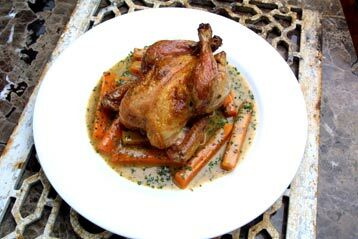 Willing to move from your culinary comfort zone? This week, June 20-25, the Main Street Area Association is holding its semi-annual restaurant week, enticing you to sample international cuisine from 33 local restaurants. For a flat rate of $25 for dinner and $12 for lunch, you can literally eat your way around the world this week. The flat rate excludes beverages, tax, and tip, of course; you can order off the menus at any restaurant as well. Some places are offering 2 for 1 deals. 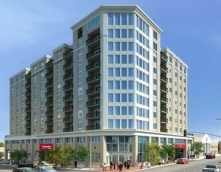 Located in the heart of downtown Ann Arbor at the corner of West Huron and North Ashley, the Ashley Terrace condominiums are 10 stories of luxury and convenience, rising above 10,000 square feet of retail space and 16,500 square feet of office space. The condos are the perfect type of Ann Arbor real estate for the young professional who wants to live and work in a vibrant urban center near 30 cosmopolitan restaurants, shopping, farmer’s markets, culture, and the University of Michigan. Currently, The Bouma Group is listing several units that illustrate the variety of price points and floor plans available – but the flavor of the neighborhood is available to all. One of the most exciting times each year for children is Halloween. Kids can’t wait to dress up and get all the candy their bags can handle. This is true for kids in Downtown Ann Arbor as well. But in Downtown Ann Arbor kids get a lot more than just candy. On October 31st from 11:00am to 5:00pm the Ann Arbor Main Street Area Association is sponsoring a Treat Parade. Parents can take their little ghosts, goblins, princesses and fairies along the Main Street area sidewalks to collect some treats from businesses with balloons flying at their doors. However, before collecting candy, parents and children can join storytellers, Laura Pershin Raynor and Elizabeth Schneider, at the Ann Arbor District Library. The downtown branch library at 343 S. Fifth Avenue will have stories, songs and trick or treat from 9:30am to10:00am or 10:30am to 11:00am. After finishing with fantastic stories and songs at the library, make plans to visit some of the local participating businesses. There are also great cultural events happening in Ann Arbor. Upcoming events include the Ann Arbor Blues and Jazz Festival (August 2-3) and the Edgefest Music Festival (October 15-18). If you are ever searching for things to do in the Ann Arbor area, be sure to contact us, your Ann Arbor real estate specialists– we are here to hep you enjoy Washtenaw County. 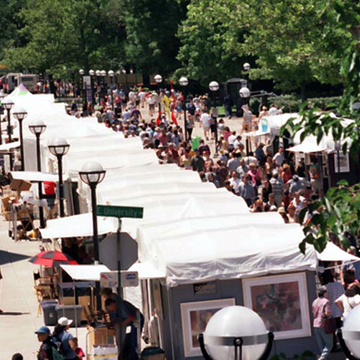 The 2008 Ann Arbor Art Fair proved to be one of the best in recent history. Local hotels were booked as over 500,000 people emerged on the streets of downtown Ann Arbor, enjoying the sights and sounds of one of the Top 10 art fairs in the country. Every type of artist from photographers to sculptors to jewelry artisans were featured in an array of tents with the usual visionary magnetism that draws so many loyal art enthusiasts to our lovely city. What set this year’s art fair apart from previous years were the exciting work shops and live performances. The Ann Arbor Art Fair continues to get better every single year, and this annual fair was no exception! The Original Ann Arbor Street Art Fair! The 49th annual Ann Arbor Street Art Fair begins July 16-19, 2008 at the Diag on Central Campus at The University of Michigan and at the north end of Ingalls Mall Lawn. The Art Fair that draws over 500,000 visitors to Ann Arbor welcomes 174 juried artists as well as eight new artists from local universities and and colleges. Enjoy Eco-Art Projects, party with locals at the Townie Street Party and lose yourself in a whirlwind of artisan tents and gourmet food stands! Visit The Bouma Group Blog next week to read about the highlights of The Ann Arbor Street Art Fair. Artisit Directory – Find your favorite artists or discover the latest and greatest on the art scene! Imagination Station– Featured at The ArtZone on the south end of Ingalls Mall Lawn offering fun activities for the whole family! Be sure to check out Fantasy Faces, a popular stop for face paintings!